This autumn, Helical Technology Limited, based in North West of England, has installed a Kitamura horizontal machining centre as part of a total package from Leader CNC Technologies - including fixtures, tooling and prove–out of stainless steel components. 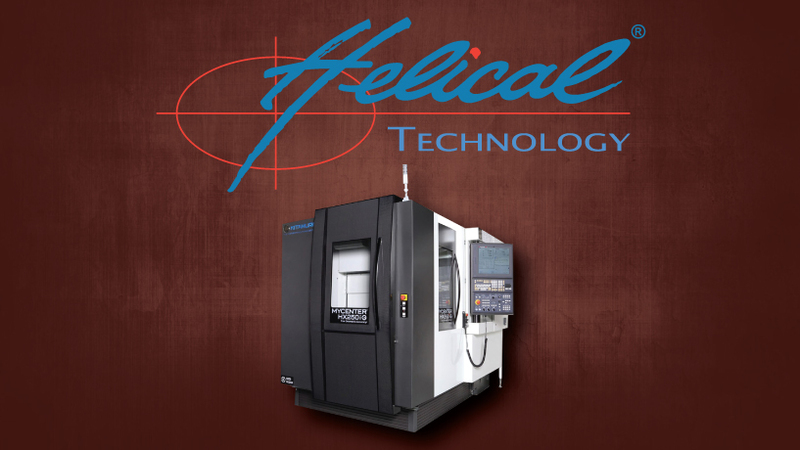 Helical Technology Limited has been established for over 50 years and has gained years of experience in manufacturing high quality automotive parts. With many manufacturing sites other than those within the United Kingdom, there are facilities around the world including China and India. This international company has a strong passion for creating and developing new solutions in order to manufacture products of the highest quality and standard. To enhance their growing manufacturing department and maintain this high standard, they have invested in a quality Kitamura horizontal machining centre. The compact Kitamura Mycenter-HX250G is the smallest twin pallet horizontal machining centre on the market and is used to manufacture medium to long run small parts to a higher level of productivity. For more information on Helical Technology Limited visit www.helical-technology.com or information on the Kitamura range why not visit our Products Page for more information.